Producer of the Paseo Artistico community art stroll series that brings free arts programing—music, poetry, crafts workshops, readings, film and mural tours—to the 24th Street Latino Cultural District every other second Saturday of the month. 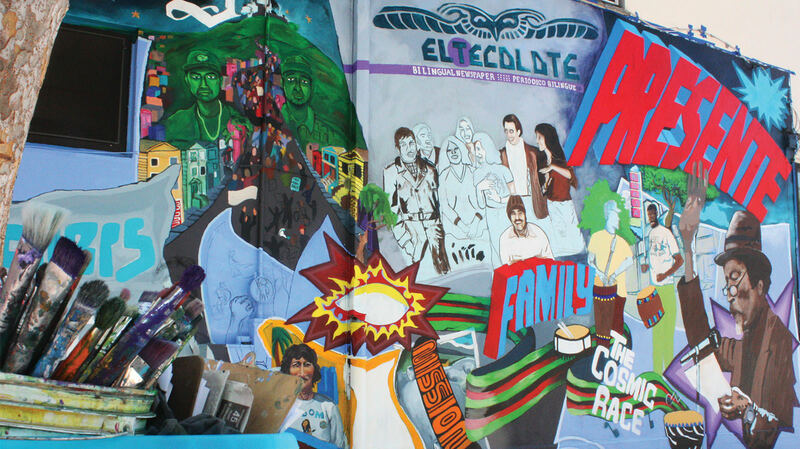 Managing a diverse collection of archival materials that document the history of the social struggles and artistic movements of San Francisco’s Mission District in particular, and of San Francisco in general, from 1970 to the present. We are located in the heart of San Francisco’s historic Mission District, in the area now designated as the Calle 24 Latino Cultural District.